Be Charmed by Kingston NY! The Hudson River & Catskill Region Is Historic & Scenic, A Perfect New York State Vacation Destination! Make Scenic & Historic Kingston NY a New York State Vacation Destination! Kingston NY is a unique blend of everything you most enjoy, and an important New York state vacation destination! Bordering the scenic Hudson Valley Region, the ever-present Hudson River sparkles along the eastern edge of this community where visitors can observe passing ships while dining in a waterfront restaurant. The early history of Kingston is never far from the present day. 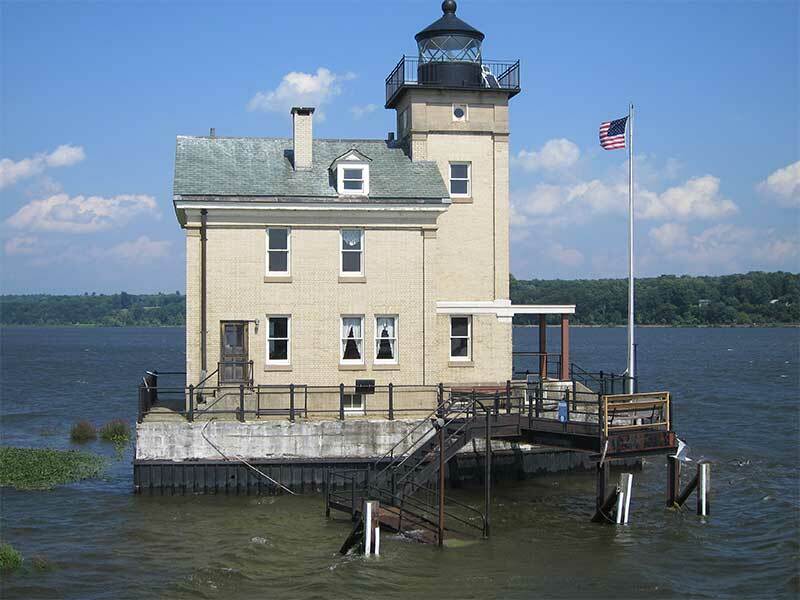 Visitors can take a walking tour of a restored 1600's historic stockade, or take a boat to tour the unique Rondout Lighthouse that faithfully guards the Hudson. Kingston's rich history has also resulted in the creation of several unique and historic museums and attractions that are open to the public, including a maritime museum. The quaint downtown has restaurants that are diverse and serve every need from gourmet dining to eclectic coffee shops. To serve the needs of its many visitors who plan to stay, accommodations include elegant bed and breakfasts, inns and lodges, resort hotels, motels and campgrounds. A strong arts and theatre influence reflects its local culture, with festivals planned year-round for the enjoyment of residents as well as visitors. Shopping in Kingston includes the distinct pleasure of browsing its many antique and gift shops. Kingston is filled with outdoor activities that include fishing, hang gliding and sky-diving, and bicycling. There is excellent rock climbing here, along with downhill and cross country skiing and snow boarding.